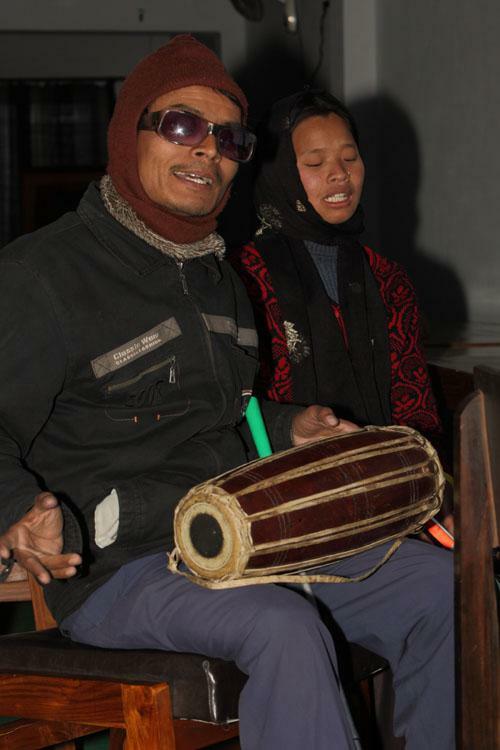 Music is the popular training in among visually impaired people. In six months they get vocal training followed an instrument of their choice. In the last month they have to organizing a musical program or concert. With these skills they can join or form a band and play at weddings, anniversaries etc. All students who have completed successfully are able to perform musical concert program. Frequently in the training period, they perform musical program in Centre. They also succeed to perform concert in Hotel and Restaurant. We have two class rooms in each session i.e. one class room for vocal training and next class room for instrument training. We have three training class in one class room per day.